Or, Dyhan, and Heidi Kuhn. “Clearing Minefields in Israel and the West Bank.” Journal of ERW and Mine Action 15.3 (2015): 24-28. Recent legislation in Israel has opened the door to demining in Israel and the West Bank. 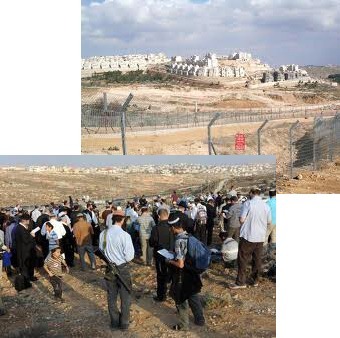 Roots of Peace campaigned for this legislation and will begin demining a village near Bethlehem before the end of 2011. Kahanoff, Maya. Jews and Arabs in Israel Encountering Their Identities. Transformations in Dialogue. Lanham and London: Lexington Books and Jerusalem: Van Leer Institute, 2016. Jews and Arabs in Israel Encountering their Identities reveals the powerful potential of inter-group dialogues to transform identities and mutually negating relations. Using meetings with Israeli Jewish and Palestinian Arabian students who attend the Hebrew University of Jerusalem as case studies, Kahanoff examines the hidden psychological dimensions of the Israeli-Palestinian conflict and illustrates how each participant’s sense of identity shifted in response to encounters with conflicting perspectives. Kahanoff contends that an awareness of the limitations of dialogue, without the renunciation of its value, is the most realistic basis upon which to build a sustainable agreement. This book is recommended for scholars of psychology, sociology, religious studies, political science, and communication studies. MAYA KAHANOFF is lecturer at the Swiss Center Graduate Program for Conflict Research, Management and Resolution and associate research fellow at the Hebrew University of Jerusalem. Shmueli, Deborah F., and Rassem Khamaisi. Israel’s Invisible Negev Bedouin. Issues of Land and Spatial Planning New York: Springer, 2015. This Brief provides a contextual framework for exploring the settlement rights of Israel’s Bedouin population of the Negev desert, a traditionally pastoral nomadic Arab population. In 1948, the Israeli government relocated this population from the Negev region to settlements in Siyag. The explicit aim was to control the Negev area for security purposes, sedentarize a nomadic people, and to improve their living conditions and bring them into the modern economy. Since then, many of the Bedouin population have continued to urbanize, moving into smaller towns and cities, while some remain in the settlement. The Israeli government’s has recently proposed a new settlement policy towards the Bedouin population, that would expel many from their current homes, which came into recent controversy with the UN Human Rights commission, causing it to be withdrawn. Israel as a whole has very complex social, cultural, and political fabric with territorial uncertainties. This Brief aims to provide an overview of the current situation, provide a theoretical, historical and legal context, explore barriers to implementation of previously proposed policies, and provide potential solutions to improve individual and collective stability and balance the cultural and territorial needs of the Bedouin population with the larger goals of the Israeli government. This work will be of interest to researchers studying Israel specifically, as well as researchers in urban planning, public policy, and issues related to indigenous populations and human rights. Elsana, Morad. “The Recognition of Indigenous Peoples’ Land: Application of the Customary Land Rights Model on the Arab-Bedouin Case in Israel.” Georgetown Journal of Law & Modern Critical Race Perspectives 7.1 (2015): 45-67. Hwang, Julie H. “Reaction to: The Recognition of Indigenous Peoples’ Land: Application of the Customary Land Rights Model on the Arab-Bedouin Case in Israel.” Georgetown Journal of Law & Modern Critical Race Perspectives 7.1 (2015): 69-70. Based on the Australian experience, this paper introduced the idea of recognizing Bedouin land rights based on the recognition of their customary law. To illustrate this idea, this paper introduced the recognition of Aboriginal land in Australia and then applied the Australian model on the Bedouin case in Israeli. The recognition of Aboriginal land rights in Australia relies mainly on the existence of three elements. The first is the existence of a system of law, such as Aboriginal customary law; the second is the existence of a connection to land, which means the existence of a traditional land rights system; the third element is the existence of a legal recognition option for these elements in the state legal system. One such option is the native title doctrine in Australia. This last element is a bridge that connects the indigenous peoples’ customary law with the state law and enables the state to recognize indigenous peoples’ customary law and their rights under their customary system. The second part of this paper addressed Bedouin land recognition. This part applied the Australian model of land recognition on the Bedouin case. It mainly showed the existence of the three elements for recognition in the Bedouin land case in Israel. First, it demonstrated the existence of the Bedouin traditional system of law; second, the existence of Bedouin connection to the land; and then it introduced the third element, which is the recognition option or the “bridge” that demonstrates how the Israeli legal system includes two options that could work as a connection to Bedouin customary law. The first bridge option is through Tribal Courts Regulations and the second is the principle of custom as a source of law. In conclusion, similar to Australia and other countries that have recognized indigenous land rights, the legal system in Israel includes sufficient legal elements that can lead to the recognition of Bedouin traditional law that would bring recognition of their traditional land rights. Excerpt from Hwang’s response: Perhaps judicial resolution is not the most promising course of action in asserting land rights for the Bedouins. Sarah Matari suggests that the power imbalance and historical mistreatment of Arab Bedouins in Israel make a courtroom battle a highly unsuccessful option for the Bedouins.9 Instead, she suggests a series of mediation as a possible way for the Negev Bedouins to discuss with the Israeli government to negotiate their rights to the land. 1O Although there is serious doubt as to the efficacy of any mediation due to the historical hostility between the Negev Bedouins and Israelis, I think mediation may be a more hopeful option for the Bedouins because the native title doctrine approach has its limitation when applied to the Negev Bedouins in Israel. Sorek, Tamir. Palestinian Commemoration in Israel, Calendars, Monuments, and Martyrs, Stanford Studies in Middle Eastern and Islamic Societies and Cultures. Stanford: Stanford University Press, 2015. The chapter demonstrates the centrality of commemoration as a form of political protest among Palestinian citizens, as well as the historical link between this commemoration and the adoption of Israeli citizenship as part of their identity. It argues that Palestinian commemoration in Israel is both a stage for displaying Palestinian national pride and a mobilizing vehicle for struggle over civil equality, and its content is shaped to a large extent by the tension between these two goals. The chapter contextualizes the study in the relevant literature on collective memory and explains the unique case of the Palestinians citizens of Israel compared with other “trapped” minorities. Finally, the chapter outlines the methodology used in the book. The chapter explores how political calendars and shared martyrology provided important markers of identity and symbolic tools for political mobilization in Mandate Palestine. The dates on the emerging Palestinian calendar grew out of the politicization and nationalization of traditional holy days, as well as the commemoration of politically significant events of the period, including those involving local Palestinian martyrs. Commemorative events were especially important for the advancement of Palestinian particularism, which could not rely on a distinct language and culture or a common religion. Although the Palestinian elite was well aware of the importance of these markers to identity formation, its ability to nurture them was limited by institutional weakness, lack of political sovereignty, and British antagonism to this commemoration. The Kafr Qasim massacre in 1956 was only one out of several massacres committed against Palestinians in the same historical period. The selection of the event into the political calendar of the Palestinians in Israel and the endurance of its commemoration are related to the status of the victims and commemorators as Israeli citizens. The commemoration of the massacre has been influenced by the need to prevent its reoccurrence and therefore the emphasis on civil rights has been a central discursive tool. From 1976, Land Day was added as a second anchor on the political calendar. Land Day commemoration has been shaped by the tension between Palestinian nationalism and a struggle for civic equality. Until the 1990s, the Israeli Communist Party has dominated the commemoration of both events, and accordingly, the status of Jewish citizens as speakers, chorographers, and potential audience had been salient. The twenty-first century has witnessed the addition of two dates to the political calendar of the Palestinians in Israel—a memorial day for the Nakba and al-Aqsa Day, commemorating the events of October 2000 during which Israeli police killed thirteen Palestinians inside Israel. Both events have become a sphere of contention not only between Palestinian citizens and the state but also between religious and secular forces within Palestinian society, which even commemorate the Nakba in different days. The October 2000 events have pushed Palestinians in Israel to reconsider the meaning of citizenship, not necessarily to withdraw from a shared Israeli public sphere, and this complicated approach is reflected in all the four major commemorations on the political calendar. Memorial monuments have been added to commemorative repertoire of Palestinians in Israel since 1976. This chapter begins by explaining the delay in their appearance. In the first wave of commemoration (1976-1983), six monuments were built, which reflected the high level of caution practiced by their creators. The caution was expressed by locating some of these monuments in cemeteries rather than in central visible sites, by inscribing sanitized text on the monuments that did not identify a perpetrator, by including Jewish citizens as creators or commemorated subjects, by avoiding explicit contextualization of the commemoration in the broader Palestinian national narrative, and by emphasizing loyalties that were considered less political such as local, religious, and communal identities. A second wave of monuments began slowly in 1998, to commemorate the fiftieth anniversary of the Nakba, and it drastically increased following October 2000. The monuments in this wave reflected a limited decline in caution and self-censorship, expressed not only by the number of monuments, but also by their location in highly visible sites. In addition, there was a mildly growing tendency to frame local pride as an aspect of national pride, and a decline in the attempts to use localism as a protective measure from the state’s antagonism to Palestinian national identity. This trend was expressed unevenly across different localities, and old prudent tactics were still evident, especially around monuments referring to 1948. In addition, Palestinians who were not citizens were mostly excluded from the monuments. Beyond the canonic events on the political calendar, the historical remembrance of Palestinians in Israel includes many other dates and events situated in various degrees of distance from the core of the cannon. Some events have been commemorated mainly locally, without continuous cross-regional participation; others mostly by a specific party or movement; still other commemorations have been limited to press coverage, and the memory was not embodied by mass rallies; or the embodied commemoration in the form of mass rallies did not last more than a decade. There are three major dimensions of marginalization. First, temporal – teaching pre-1948 Palestinian history is an intellectual project with marginal public resonance so far; second, thematic, Palestinians in Israel have remained at a safe distance from the armed struggle, especially if it targeted civilians; third, geo-political, Palestinians who are not citizens of Israel have been extremely marginal in the public commemoration. The anxiety of the Jewish public in Israel regarding the public appearance of a Palestinian national narrative has led to continuous attempts to discipline the public display of Palestinian political memory. In the first decades after 1948 this discipline was imposed mainly by strict monitoring by the security services. As the Jews’ siege mentality abated and Arab self-confidence and organizational ability increased in the 1980s and 1990s, elements of the Palestinian national narrative gained more public visibility. From 2000, the Second Intifada reversed the abating anxiety, but it was too late to restore the old modes of disciplining memory. In the new era, disciplining memory is based on a combination of restrictive legislation, public intimidations by government officials, and the watchful civic gaze of ordinary citizens. These modes are not completely ineffective but they are far from pushing national historical remembrance back to the private sphere. The official curriculum in Israeli schools has long excluded the Palestinian national narrative. The chapter presents evidence that although Palestinians in Israel do not tend to see the formal education system as a main source of their historical knowledge, this system is still influential in shaping historical remembrance. Given the uniqueness of public education as an extremely imbalanced political battlefield, activists, educators, and parents developed diverse tools aimed to bypass, alter, or confront the curriculum of the formal education system. The chapter discusses some of these tools, including increasing the role of private schools, developing alternative teaching materials, and disseminating these materials either inside the public education system or thorough extracurricular activities. The chapter examines the semiotic structure of Palestinian collective memory in Israel and identifies a continuous tendency to balance themes of victimhood with themes of prowess. Modern Palestinian and Arab histories make themes of victimhood significantly more available and the frequent attempts to construct various events as victories is a common thread that links the “literature of resistance” under the military regime, with the widespread satisfaction from the Israeli failure in Lebanon in 2006. The attraction to triumphal themes is even more evident among those Arab citizens who define themselves as both Palestinians and Israelis, probably because Israeli defeats at the hands of Arabs pave the way for imagining a more egalitarian interaction with Jews. As one of the major figures responsible for the Nakba, the way the late Prime Minister Yitzhak Rabin is remembered by Palestinian citizens of Israel after his assassination in 1995 is a very good example for a strategic suspension of the Nakba memory. The chapter suggests the existence of a latent nostalgia for Rabin’s second term as prime minister (1992–1995) as a period when being Israeli looked like a realistic option for Palestinian citizens of Israel. This nostalgia is “latent” because in the post-2000 era it can be found only in responses of individuals to a survey questionnaire, but not in the public sphere. The chapter identifies the tension between being Palestinian and being an Israeli citizen as a major force that shapes Palestinian commemoration in Israel. While some other axes of conflict (integration-separation; local-national; elite-masses; intra-Palestinian communal relations) are not simple derivative of this tension, they are commonly related to it in one way or another. Together, these tensions create frequent discrepancies between various forms and spheres of historical remembrance and commemoration, as well as internal inconsistencies in the commemorative rhetoric. Brody, Shlomo M. “When Political Ideology Meets Jewish Law: The Dispute over the 2010 Safed Ban on Selling Land to Israeli Arabs.” En Route, Journal of the Aspen Center for Social Values (March 2015): 18-21. More fundamental critiques, with which I identify, came from other segments of the religious Zionist camp. Rabbi Hayim Druckman, head of Yeshivot Bnei Akiva, contended that one may prohibit real estate deals with “enemies of the state.” Yet it remains unacceptable to issue a blanket prohibition against all Gentiles, including many loyal citizens, such as college students, IDF veterans, and health care providers. Rabbi Aharon Lichtenstein of Yeshivat Har Etzion launched a more trenchant critique, contending that the Safed rabbis had greatly oversimplifed Jewish law. It remains unquestionable, he noted, that there is a halakhic basis for prohibiting the sale of land to Gentiles within Israel. Yet, as we saw, a few figures limited the prohibition to the seven Canaanite nations, while many other scholars applied different dispensations to the rule, including a strong albeit not exclusive tradition – originating with the medieval school of the Tosafists – that severely narrowed this and similar laws. ese points and others were made years earlier by Rabbi Hayim David HaLevi in sweeping essays that presented a Jewish legal stance in tune with democratic values (Aseh Lekha Rav 4:1, 8:68, 9:30). In short, genuine political problems may exist in various parts of the country. But the solutions lie in education and political wisdom, not in overreaching legal statements that distort – and disgrace – Jewish law and its adherents. Israel and the Arab Gulf states: from tacit cooperation to reconciliation? Nasasra, Mansour, Sophie Richter-Devroe, Sarab Abu-Rabia-Queder, and Richard Ratcliffe, eds. The Naqab Bedouin and Colonialism. New Perspectives. Abingdon and New York: Routledge, 2014. The Naqab Bedouin and Colonialism brings together new scholarship to challenge perceived paradigms, often dominated by orientalist, modernist or developmentalist assumptions on the Naqab Bedouin. The past decade has witnessed a change in both the wider knowledge production on, and political profile of, the Naqab Bedouin. This book addresses this change by firstly, endeavouring to overcome the historic isolation of Naqab Bedouin studies from the rest of Palestine studies by situating, studying and analyzing their predicaments firmly within the contemporary context of Israeli settler-colonial policies. Secondly, it strives to de-colonise research and advocacy on the Naqab Bedouin, by, for example, reclaiming ‘indigenous’ knowledge and terminology. Offering not only a nuanced description and analysis of Naqab Bedouin agency and activism, but also trying to draw broader conclusion as to the functioning of settler-colonial power structures as well as to the politics of research in such a context, this book is essential reading for students and researchers with an interest in Postcolonial Studies, Development Studies, Israel/Palestine Studies and the contemporary Middle East more broadly. Kark, Ruth and Seth J. Frantzman. “Empire, State and the Bedouin of the Middle East, Past and Present: A Comparative Study of Land and Settlement Policies.” Middle Eastern Studies 48.4 (2012): 487-510. The Bedouin of the Middle East have been one of the region’s most marginalized groups in modern times. This study assesses the interplay between state policies and the Bedouin in the last 150 years, from a comparative standpoint. We examine the development of land laws in the Middle East as they have affected the Bedouin, from the enactment of the Ottoman land laws of 1858 up to the present. Moreover we explore whether the land laws and the fate of the Bedouin are associated with the characteristics of the regime in each country. We find that the imposition of land laws and policies directed at nomadic and sedentarizing Bedouins has depended on disparate factors such as the origins of the leadership of countries (i.e. Bedouin or non-Bedouin) and the social and economic models embraced. Regimes with origins in the tribal-Bedouin fabric of the Middle East have pursued land policies that were favorable to the Bedouin, whereas regimes drawing their strength from urban elites and with socialist outlooks encouraged very different policies. We also consider whether the case of the Bedouin in Israel is unique or reflects a larger regional context. Kark, Ruth and Seth J. Frantzman. “The Negev: Land, Settlement, the Bedouin and Ottoman and British Policy 1871-1948.” British Journal of Middle Eastern Studies 39.1 (2012): 53-77. Focusing on the sub-district of Beersheba in British Mandatory Palestine, we examine issues of colonial administration, land use, relations between the government and indigenous nomads and extension of government control over marginal regions. Based on archival primary written sources and maps, we assess British Mandatory policy in the Negev, in the contexts of land ownership, settlement and the Bedouin population. The British Mandatory administration inherited a Southern Palestine Negev region that had been affected by a robust Ottoman policy of increasing administrative intervention, policing, land settlement and overall projection of government power. During 30 years of Mandatory rule, the policy was markedly different. The Beersheba sub-district, which incorporated almost half the area of Mandatory Palestine, was a unique administrative unit, populated almost entirely by nomadic Bedouins. Although the Mandatory authorities foresaw land settlement and sedenterisation as a goal in Palestine, they did not apply their administrative apparatus to fulfill this policy in the Negev, neglecting much of it. Eran Kaplan received his PhD in Comparative History from Brandeis University in 2001 and taught in the Department of Judaic Studies at the University of Cincinnati before taking his current position at San Francisco State University. His book, The Jewish Radical Right: Revisionist Zionism and Its Ideological Legacy was published in 2005 and he is now completing, with Derek Penslar, Zionism and the Yishuv: A Source Book which will be published by the University of Wisconsin Press. His published work, appearing in Jewish Social Studies, The Journal of Israeli History, Israel Studies, Alpayim and Haaretz addresses Zionist and Israeli history, Israeli cinema and art, Modern Hebrew literature, Jewish orientalism and other topics.